Many men who are new to the custom clothing process have asked us what to expect. Coming from ready to wear, it's difficult for men to imagine creating something from scratch, exclusively designed and fitted for themselves. 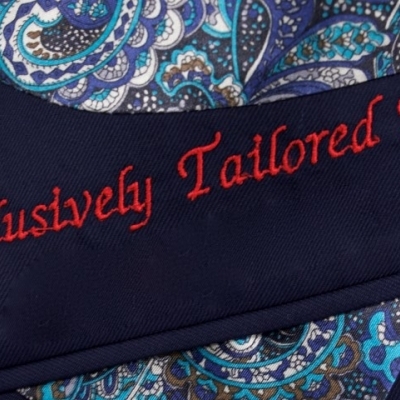 The truth is, while every custom clothing company's measurement and fitting process is somewhat different from each other, the expected result should be the same – a flattering, well fitting, personalized garment. 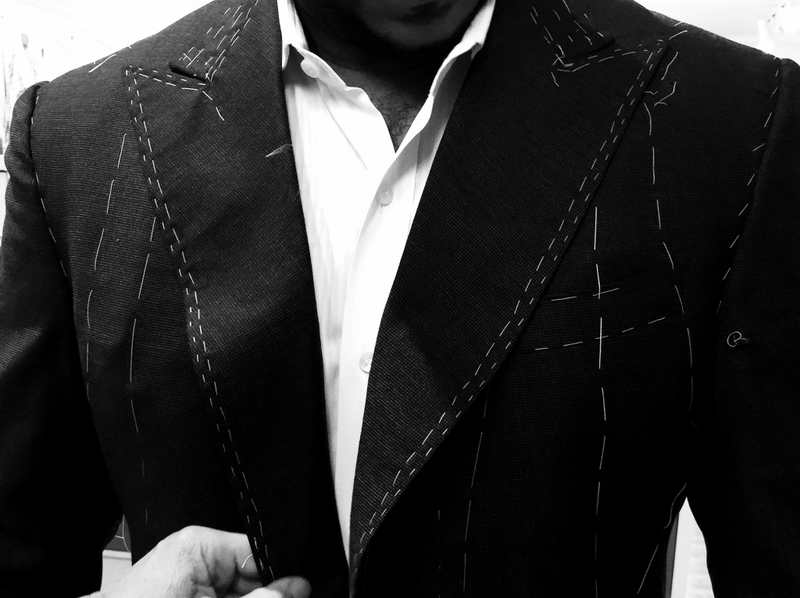 The initial step for any custom clothier is to take your measurements. This is in order to note how your body's natural proportions are, so that the tailor can get an idea of how the garment will look. Basic measurements like your chest, waist and seat are noted as well as sleeve length, point to point (shoulders) and a few others for the jacket. In contrast to many other custom clothiers out there who work off of pre-set body patterns (A process called 'Made to Measure'), we create a brand new pattern from scratch based off of each client's measurements. This allows for more freedom in dictating the fit and proportion of the garment in accordance with the wearer. 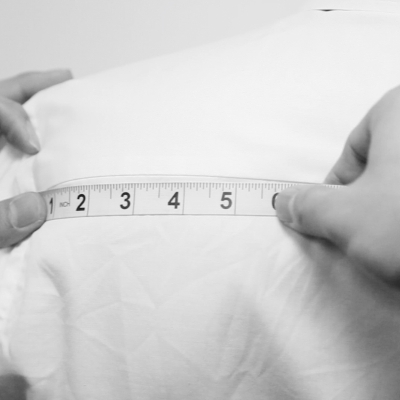 The measurement process shouldn't take longer than 20 minutes and after they are recorded, we sit down with you to choose a cloth, lining and start customizing your garment. Details like lapel style, trouser waistband, button closures, stitch details, inside embroidery and many more customizations are discussed before finalizing your order. 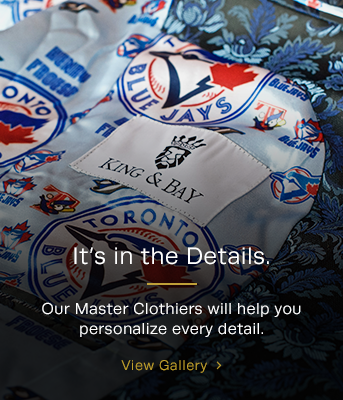 With King & Bay, you have the choice of two fitting options: Custom or Bespoke. Both start with our unique Master Suit. However, there is a distinction: With the Bespoke process, one Master Tailor manages the entire process, making it incredibly personalize. 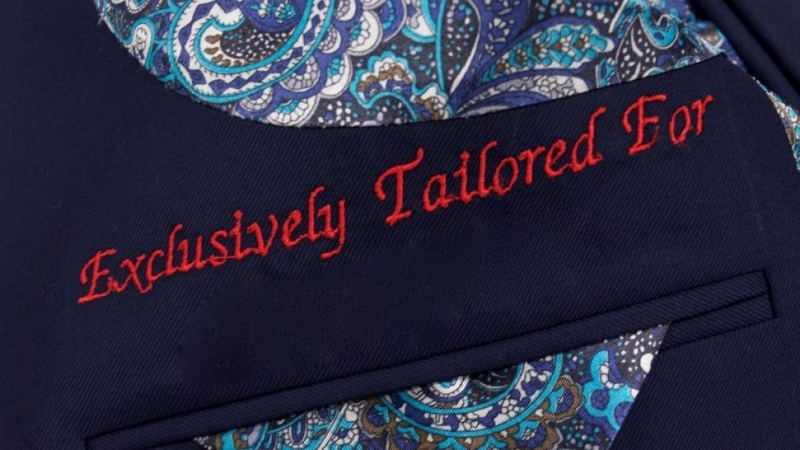 With the Custom option, more than one of our Master Tailors may have input. The final step in the process is the final delivery. This is the moment when your design comes to life. 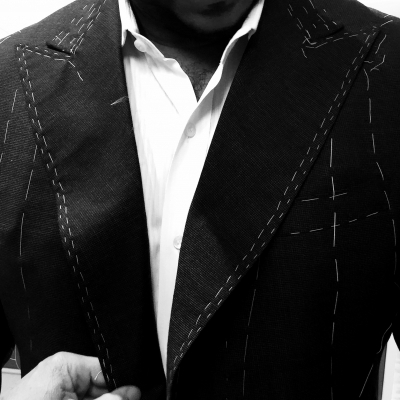 Every detail, fitting preference recorded, every customization is finally combined into your final garment. What started off as an idea, chosen through a small fabric swatch is brought in for you to wear and take home. It is difficult to describe the amazing feeling you experience when putting on your first custom suit, however, all we can say is that it is addicting. Once you start crafting custom suits, you cannot revert back to purchasing ready to wear suits. The most important thing to remember is that your wardrobe is an investment. It takes time to truly build a well balanced & well thought out closet. However, we believe that through the custom process, we can make it much easier for you to build a great wardrobe.There are no limitations to style, fabrics and details, meaning that you can create the best possible look for yourself, representing your character in a positive way through your clothing.